Project Manager Irene Mosley and Don Harvey, M.D. 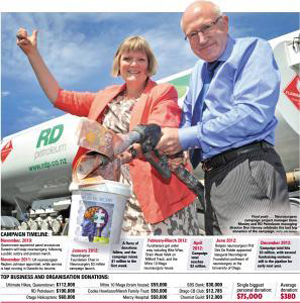 of Dunedin’s RD Petroleum, celebrate reaching the campaign’s NZ$3,000,000 target. Informal drinks and laughter punctuated conversation among a newly bonded ‘Band of Brothers’ was the prelude to an evening in February where neurosurgeon, Professor Dirk de Ridder, was finally introduced to many of the individuals, businesses and organisations from the Otago and Southland provinces that have been instrumental in raising the three million dollars for an endowment fund deemed necessary to rescue, secure and expand the life-saving hub of neurosurgery that has saved victims of stroke and head injury in New Zealand’s south for 70 years. 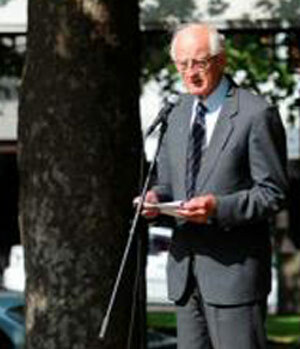 Previously a leading researcher in neurosurgery at Antwerp University, de Ridder described his plans for driving and shaping the development of research into neuroscience and surgery in Dunedin, explained his faith in the newly financed service’s future, and gave thanks for being given the opportunity “to make a difference” at the head of a world-leading team. 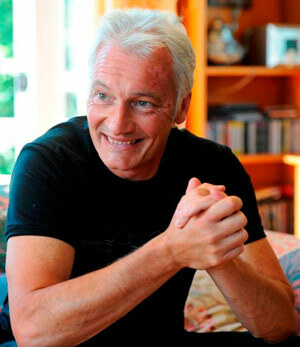 Professor de Ridder is most active in the field of neuro-modulation where electrical or magnetic stimulus is used to change brain activity. His most recent experiment has been to alter the life threatening behaviour patterns of a patient suffering from chronic alcoholism by implanting an electrode in the man’s brain. Held in the stylish Dunedin Public Art Gallery, the well-attended soirée, resembling the ‘Who’s Who’ of southern neuroscientists, lowered the curtain on the Chair of Neurosurgery Campaign’s fundraising fight. A battle that had started in 2010 with demonstrators marching against the government’s medical cut-backs, The Otago Daily Times leading with headlines and banners that screamed, “It’s a no-brainer: Neurosurgery – keep it here!” and, since January 2012, a hard driven fundraising campaign that, in recent months, had accelerated to Formula 1 pace to finally fly over the finish line with every resident in the region emerging a winner. 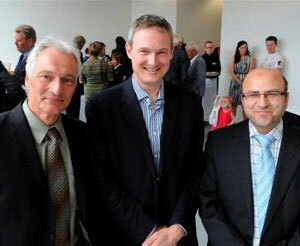 The A-Team: Professor de Ridder with his teaching team, neurosurgeons Reuben Johnson (UK) and Syrian-born Ahmad Taha. Project Manager Irene Mosley described how she thought that the support for the Chair in Neurosurgery Campaign had been simply sensational. “Every time we received a donation we thought that it would be our last, and from where else would money materialise? But the public, businesses and organisations continued to surprise us.” Mrs Mosley’s appointment as Project Manager in August 2011 proved the catalyst that sparked the main campaign’s ignition. Strong support came early from the Otago Community Trust and Basic Science Medical Trust who donated NZ$300,000 each, and by the end of January 2012, the first $1,000,000 hurdle had been vaulted. In February a collection envelope drop was generating 11,000 dollars-a-day, and by the end of April the next barrier was breached when a judicious donation of $20,000 from our own lodge, Lodge St. Patrick, helped move the money mountain over the two million mark. Back where it all started, fundraising Chairman, Dr Brian McMahon, thanked everyone who has contributed to make the Neurosurgery Campaign such an outstanding success. Such was the sense of injustice among the southern populace, that the tsunami of publicity generated concentrated everyone’s focus on the fractures in the Christchurch’s District Health Board’s original ‘money-saving’ decision to remove all neurosurgery assets in Dunedin and dump them hundreds of life-threatening miles away in Christchurch – in a city itself infamous for sitting on shaky ground. Back in 2010, recognising the imprudence of the plan, and acknowledging ‘the power of the people’, the Acting Director General of Health, Andrew Bridgeman, announced that the Department of Health would be appointing a Governance Board responsible for building one South Island neurosurgery service with two ‘nodes’, one in Christchurch and one in Dunedin, that eventually would feature seven to eight neurosurgeons. Mr. Bridgeman explained that he intended to expand academic research in neurosurgery at the world-renown University of Otago, and for the hospital based neurosurgeons to work with orthopaedic surgeons in the region to extend the amount of neurosurgeon involvement in spinal surgery, thus fundamentally changing the nature of the service and vastly increasing its value in terms of return on scientific study. 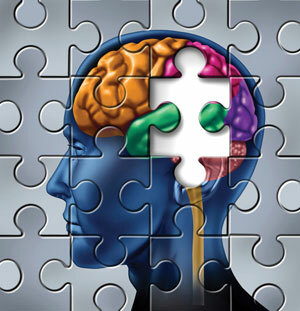 With the establishment of this new neurosurgery service as the aim, the machine was started, gathered pace and rolled on unabated until finally, on December 1st, it was announced that the massive three million dollar mountain had been conquered. The summit having been reached in quite dramatic fashion following a generous, out-of- the-blue, $100,000 donation from Dunedin’s RD Petroleum. The battle flag of the Chair in Neurosurgery Campaign will be long remembered in Otago. Bayfield High School’s Kapa Haka Group enthusiastically greeted the arrival of Professor de Ridder and his colleagues and guests at the celebration with a typical Maori welcome. Irene Mosley is the first to acknowledge that it is the people and organisations throughout Otago and Southland who backed their desire to retain the neurosurgery service in their region with hard cash, railed with spirit and determination at the unfairness of losing an obviously essential service, and rallied and re-rallied to sustain the campaign. In a time when apathy and disengagement are sadly increasingly commonplace, the people of New Zealand’s south have dramatically demonstrated resolve, purpose and pride. The members of Lodge St. Patrick No. 468 are proud to have been a part of this fundraising campaign’s history.